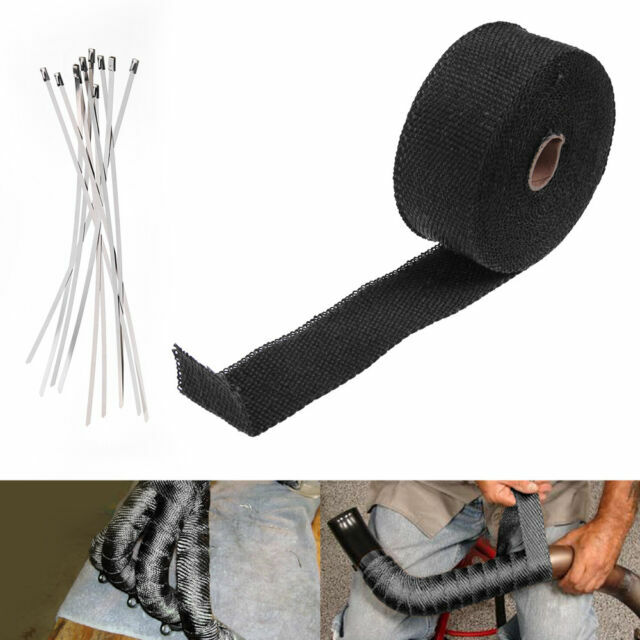 Top quality exhaust heat wrap, made from Titanium fibers. Colour- Black. Gas Flow And An Increase In Horsepower. Retention In The Exhaust System. One Thing That Is Commonly Overlooked By Most Racers Is The Matter Of Heat. Firstly, gloves and overalls or old cloths must be worn or you illl be itching for the rest of the day like I am because I wore a T-shirt! Easy to work it’s, come with decent metal pull ties and I had plenty left over having only used it on the down pipes. Haven’t used any other ones so can’t compare but for the price I would say very good and I would recommend. Looks great! Wear gloves though!! !